I don’t wear a ton of makeup, I generally keep things minimal in that department. That said, I’ve not been able to convince myself to just ditch makeup altogether. I used to just buy whatever makeup was the cheapest. We are talking like $3 for mascara cheap! But then I found out that there are some nasty toxins that lurk in most of the makeups on the market. Now, it is just makeup. 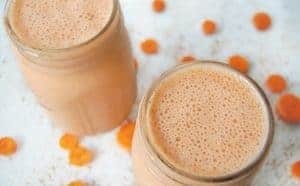 It’s only on our skin; it’s not like we are eating it… Since we aren’t eating it, it doesn’t seem like it will do as much damage to our bodies. However, your skin absorbs toxins. Even though it seems like that makeup is just sitting on your skin; it’s actually seeping in and with it those toxins. Toxins like fake fragrances, propylparaben, methylparaben, talc, aluminum powder, artificial dyes, phenoxyethanol, and so many more. 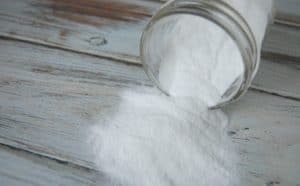 These ingredients have been links to issues like allergies, immunotoxicity, organ system toxicity, endocrine disruption, not to mention issues with the environment. Not sure what is lurking in your makeup then head over to Skin Deep and plug in your current makeup to see what’s in it and where it ranks. I don’t know about you but I don’t want to have those ingredient entering my body and messing with it! So what’s a girl to do? The second option is that we can choose to make our own. I’ll be honest, there is still some types of makeup I haven’t made. Concealer just seems tricky. However, makeup like face powder, I definitely make and it costs just pennies! Blush is the same way. 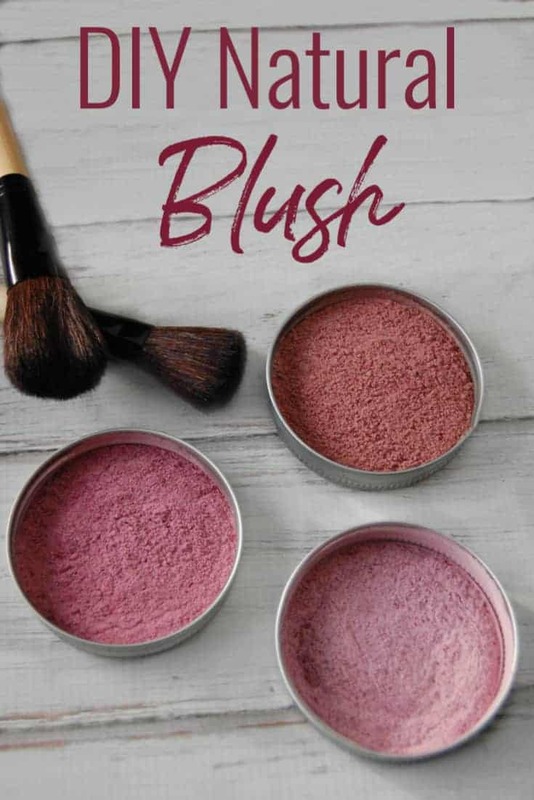 Actually, making this diy natural blush is almost identical to making face powder with just a different coloring powder. Arrowroot is a starch and is a common corn free/gluten-free alternative to cornstarch. It’s also less likely to be GMO unlike most cornstarch. Arrowroot is used as the base of this blush. It can also be added if you need to lighten up your blush. Beet root powder is exactly what it sounds like; dried up beets. 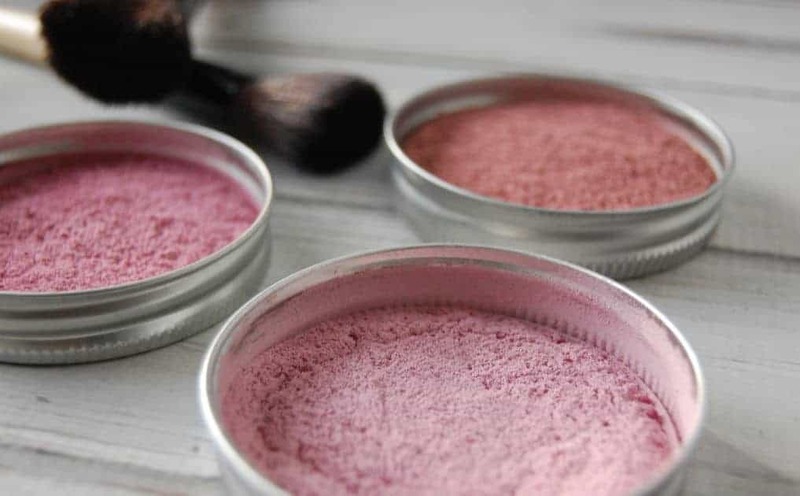 Beets have amazing color and thus beet root powder is perfect for giving this diy natural blush that pink color. 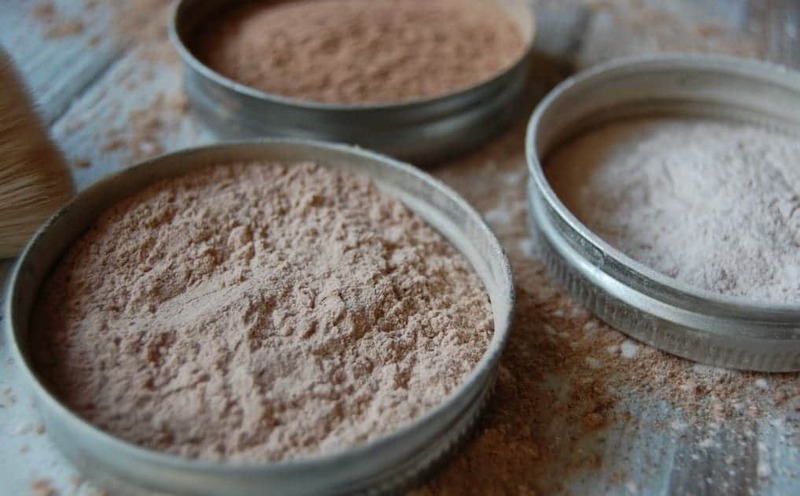 Cocoa powder is used when you want your blush to have a more brown tones. It is also beneficial for your skin as it contains antioxidants which helps heal your skin. Those are the three ingredients in my recipes. 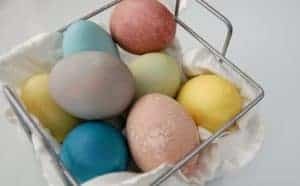 However, you can play around with your blush and try other ingredients such as ginger (yellow/gold tones), cinnamon (golden brown tones), alkanet root (magenta tones), turmeric (orange tones). Place all ingredients into a small mason jar. Stir well until completely mixed. If you find you aren’t getting your blush to mix well enough then you can place all the ingredients into a clean coffee grinder and whirl away. Test on the back of your hand to see if you’ve made your desired shade. Tweak as necessary. Hi! I don’t want to use arrowroot and beet powder. Do you know of any good alternatives?? You could use cornstarch in place of arrowroot. Beet powder is the most common choice but you could try another red/pink powder like hibiscus powder.